Ripped from his homeland, Adrian must fight to adjust to an entirely new way of life. 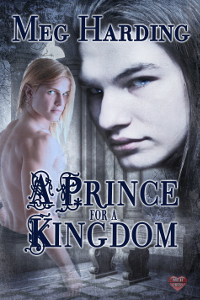 Once a prince, now a slave, Adrian must struggle to readjust and survive in a world unknown to him. He's got escape on the mind, but his new Master is proving to be a bit of a distraction. What happens when you find yourself falling for the elf who took everything from you? Magnus is over being overlooked and Prince Adrian is the key to all of his problems. He's just a bit more than Magnus was expecting. Well, a lot more. Adrian is turning his entire world upside down and he might be more than just a means to an end.